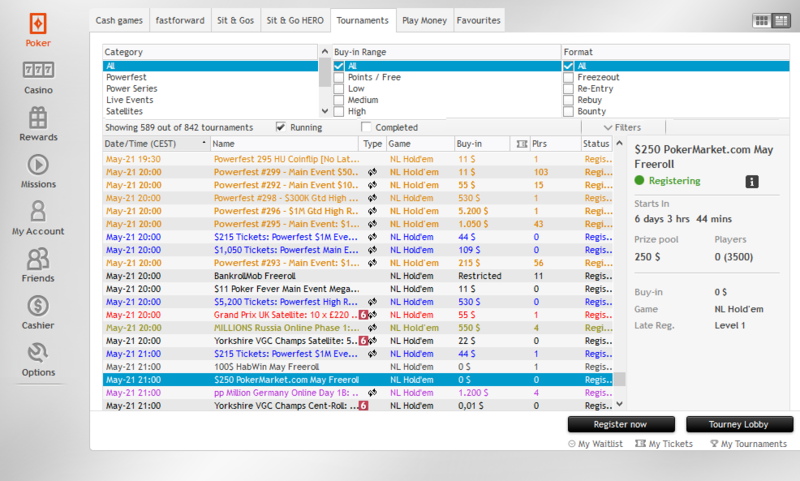 don't forget our freeroll tomorrow night and get the chance to boost your bankroll for free! 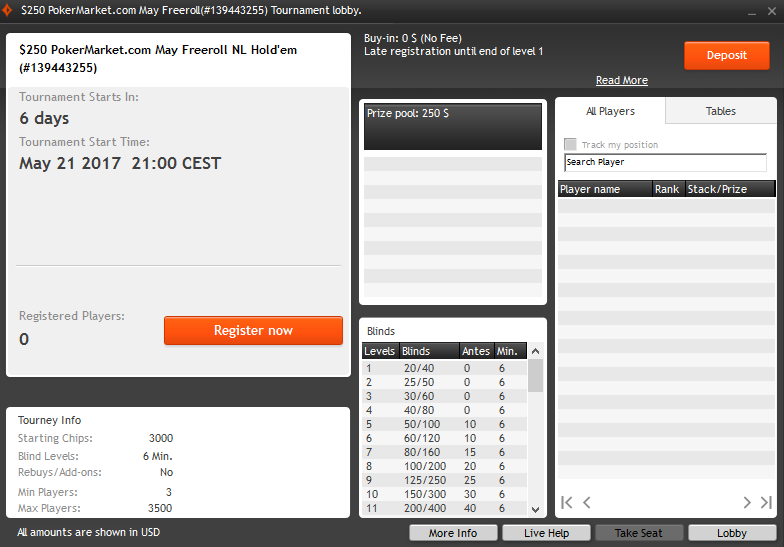 Good luck to all of you and please note, only PartyPoker or bwin accounts registered through PokerMarket are eligible to join! Looks like we received the wrong password from bwin.party Sorry guys! Unfortunately, there is nothing we can do now. Przepraszam. Kolejny turniej jest w czerwcu. Ale niestety nie może uczestniczyć w każdym razie. I can get a pass? yeah, same here. how do we get the password, via email ?? foking sick. againg the same problem .. i see 33 people who play now.